Former Kaizer Chiefs coach Steve Komphela has refused to comment on criticism aimed in his direction by Itumeleng Khune, who hinted he was ineffectual while in charge. Komphela fell on his own sword towards the end of the 2017/18 season when he resigned following a defeat to Free State Stars in a Nedbank Cup semi-final. The 51-year-old, who was recently appointed Bloemfontein Celtic manager, spent close to three years with the Glamour Boys but was unable to win any silverware. 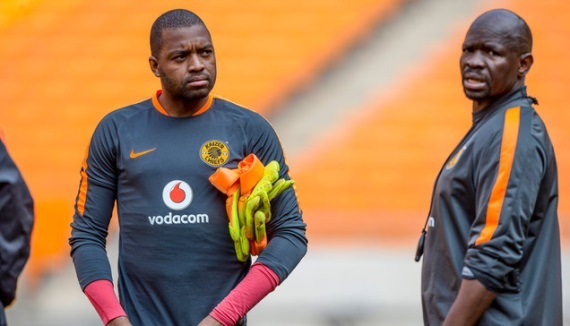 Khune recently said in the media that the ex-Amakhosi mentor was not able to get his message across about how he wanted the players to play. The goalkeeper earlier said: "We struggled a bit under coach Steve because a lot of us couldn't adjust to what he wanted from us as players. We have to go back to winning trophies. "That is our culture. We as players told ourselves that we do not want to be remembered as the generation that broke the record of not winning trophies." As such, Komphela has since responded diplomatically to the comments, telling the Sowetan: "Three years at Chiefs, I had the best of my time. I remained highly respecting and dignified. I am not going to spoil that. "It would erase years of dignity and respect. I have survived years of onslaught, I can't commit an error today."